Do you know how much customers are willing to pay for your product? Are some customer segments willing to pay more than others? What should be the price be for a product you are about to launch? With PriceBeam's Willingness-to-pay research you can quickly research what your customers really are willing to pay for a product or service in a given market. Setting the right price, instead of using guesswork. Implementing price increases more effectively. Optimizing prices across customer segments. PriceBeam's Willingness-to-Pay Research identifies the optimal price point, based on science-backed market research. 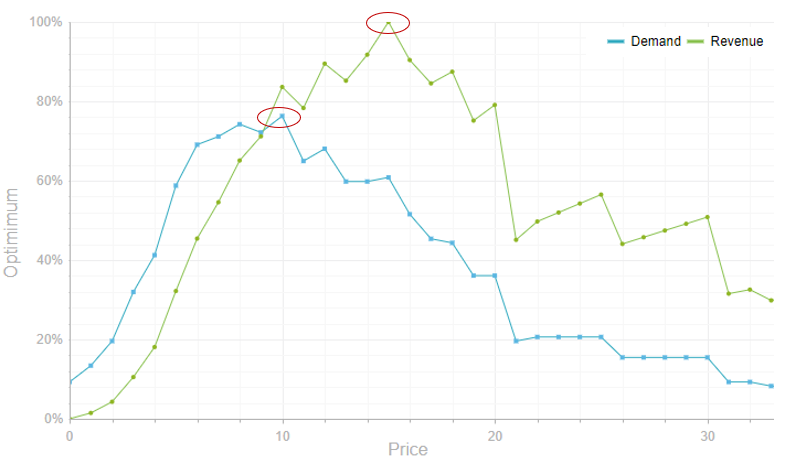 One of the key outputs is a chart like the one on the right, showing the market's expected response on both quantity and revenue. The optimal price points are where the curves peak. Run it in 109 countries world-wide. Get results for the overall market or broken down by customer segment. Run analyses by customer segment and identify what customer segments are willing to pay a higher price. Use this to specifically target those segments, and improve the overall, average price. Run the analyses in 109 countries around the world without leaving your desk. PriceBeam takes care of finding respondents, asking the right questions in the local language, interpreting results, and delivering the final analysis to you. You define the target market and describe the product. PriceBeam finds the right respondents in each of the markets. 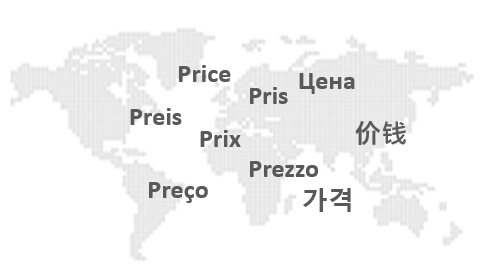 Run and compare results between countries, as part of international launches or price increases. 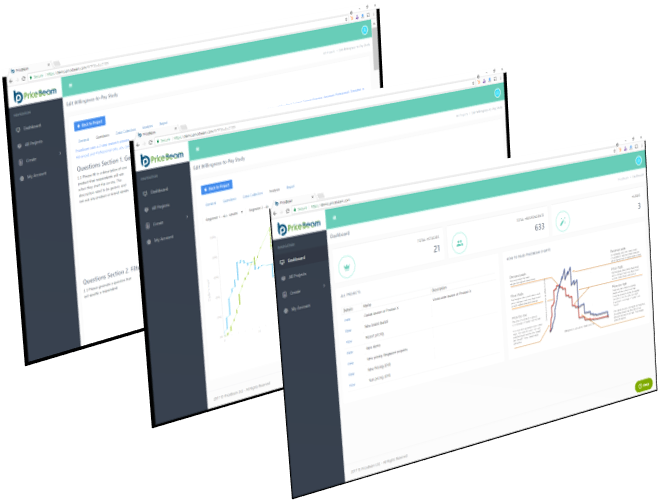 PriceBeam’s solution conducts extensive market research, collects and analyzes data before delivering a detailed report on your customer’s willingness to pay. This data will enable you to stick out from the competition, maximize profit, and set prices that aid your long-run brand positioning. You describe your product/service on our cloud-based platform. You also define the target market to research. We collect market research for the given product/service in the defined target market. We collect and analyze the data. We report the analysis and conclusions to you in our cloud-based solution. PriceBeam solutions can solve different types of pricing challenges. Quickly research what your customers in a given market are willing to pay for a product or service. Expand research by analyzing Willingness-to-Pay overall as well as per segment.